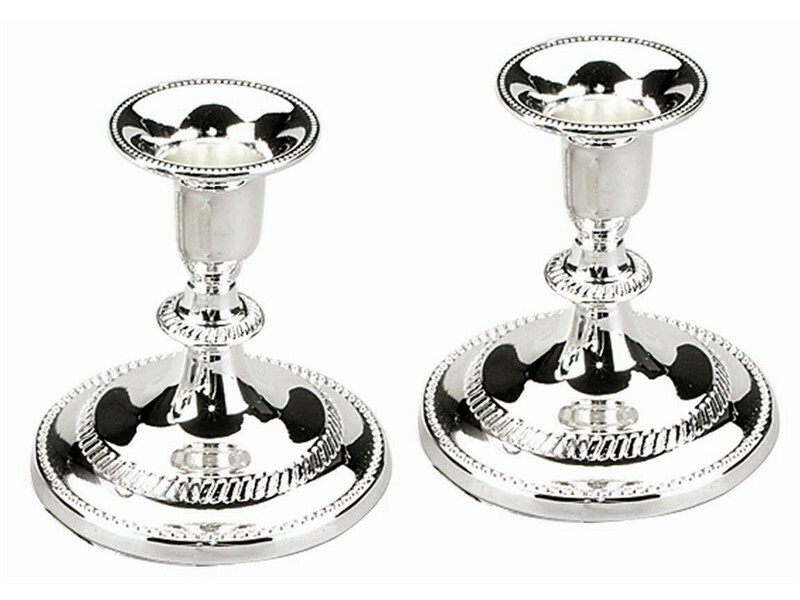 These silver plated candlesticks are sure to add beauty to your Shabbat table. A wide circular base is embellished with a strip of raised dots while a smaller disc extends out on the candlestick. Neat and classy looking, these candlesticks can hold standard sized candles or used with glass holders.